Click here to download Episode 6 on iTunes. Don't forget to subscribe! Episode 6 of Nathan OUTloud features an interview with Director/Writer/Producer– Daniel Karslake. Daniel Karslake is an award-winning American film director and producer. His last film, FOR THE BIBLE TELLS ME SO, premiered in competition at the 2007 Sundance Film Festival and won the Katherine Bryan Edwards Prize for Human Rights at the 2007 Full Frame Documentary Film Festival. The film also won nine “Best Documentary” audience awards at prestigious festivals across the country, and it was on the short list for a 2008 Academy Award. Sir Ian McKellen recently introduced the film at its UK premiere in London, and it is currently rolling out internationally. 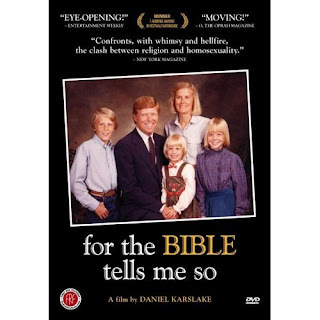 In addition to discussing FOR THE BIBLE TELLS ME SO, Daniel shares his moving coming out story and what moved him to create the movie. Thank you Dan for your contributions to episode 6 of Nathan OUTloud! Thanks for bringing my attention to the podcast. I enjoyed the documentary immensely...good to learn a bit about the person who made it.